"Telemedicine is an upcoming field in health science arising out of the effective fusion of Information and Communication Technologies (ICT) with Medical Science having enormous potential in meeting the challenges of healthcare delivery to rural and remote areas besides several other applications in education, training and management in health sector. It may be as simple as two health professionals discussing medical problems of a patient and seeking advice over a simple telephone to as complex as transmission of electronic medical records of clinical information, diagnostic tests such as E.C.G., radiological images etc. and carrying out real time interactive medical video conference with the help of IT based hardware and software, video-confernce using broadband telecommunication media provided by satellite and terrestrial network"
1.Telemedicine network to be launched tomorrow. JIPMER-BIMSTEC telemedicine network will be inaugurated by Union Minister Faggan Singh Kulaste here tomorrow. 2.Back 2 Future: Technology Trends in Governance. Good governance= Improved quality of life= Social and Economic Growth. It is not the role of governments or their character which is likely to change drastically in the next decade. By adopting technology, the same governments can aim to truly bring about change in the lives of their people. 4.DigiGaon Pilot to start in three states. Aiming to provide various internet-based services in rural areas, the government will soon start a pilot project offering services such as tele-education, Wifi and LED-based lighting across three states under its ‘DigiGaon’ programme. 5.Toll free number soon for telemedicine in UP. 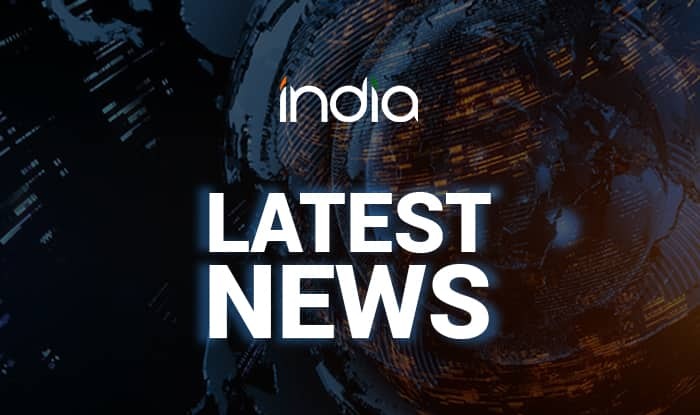 Uttar Pradesh health minister Siddharth Nath Singh on Wednesday announced that the state government will soon issue a toll free number for free telemedicine services in the interior and rural areas of the state. 6.Here is how Yogi Adityanath government is looking to solve healthcare problem in Uttar Pradesh. Uttar Pradesh health ministry has drawn up a blue print for overcoming the challenge of shortage of doctors and infrastructure. 7.Telemedicine services started Soon in Up. 8.Age of the Smart Doctor. There is no doubt about the fact that doctors who are proficient in computer science do have an edge over others. These professionals can turn several ideas into reality, solve trivial healthcare concerns and will be ready for future digital disruption. 9.AI can help doctors fight cancer, but it's not meant to replace them. From mining medical records and designing treatment plans to developing precision medicines, artificial intelligence (AI) is playing a bigger role in healthcare. 10.Around 100 district hospitals to provide e-services soon, says IT minister Ravi Shankar Prasad. Patients will soon be able to get appointments with doctors in 100 district hospitals of the state using their mobile phones. Union Minister for Electronics and Information Technology Ravi Shankar Prasad Tuesday said that the state, with the Centre’s help, would link 100 hospitals under the ‘e-hospital’ scheme within the next six months. 11.IIT-Kharagpur comes up with technology to remote monitor patient condition. IIT-Kharagpur has come up with a life-saver technology that can be fitted in an ambulance to ensure remote monitoring of the condition of a patient by the doctors even before they reach the hospital. This one-of-a-kind technology ‘AmbuSens’ has been developed in the SWAN Lab of the Department of Computer Science and Engineering (CSE) at IIT-KGP. Healthcare is a field that largerly remains expensive large amounts of money and time needs to be spent on training a man to be able to diagnose patients accurately. 13.Health Takes PHFI off Vaccination Campaign. In its first action dissaciation one of its programmes from the Public health Foundation of India (PHFI), the health ministry has decided to take away its role in the mission Indradhanush vaccination campaign. 14.Telemedicine facility for livestock launched. The telemedicine service for ailing livestock in Uttar Pradesh was launched under common service centre (CSC) scheme on Wednesday. 15.Amrita Hospital to provide advanced medical care to BAF. The comprehensive agreement covers patient care, medical education, research, training and exchange of healthcare professionals. 16.In-Depth: AI in Healthcare- Where we are now and what's next. The days of claiming artificial intelligence as a feature that set one startup or company apart from the others are over. These days, one would be hard-pressed to find any technology company attracting venture funding or partnerships that doesn’t posit to use some form of machine learning. 17.Why startups think AI can CURE BAD DIAGNOSIS. Radiologists, Technicians & Doctors Are Hard To Find In Small Towns So Entrepreneurs Are Using Machine Learning & Artificial Intelligence To Bridge The Gap. Modern medical research confirms smell of skin, breath, bodily fluids can be suggestive of illnessBlindfolded, would you know the smell of your mom, a lover or a co-worker? Not the smells of their colognes or perfumes, not of the laundry detergents they use — the smells of them?. 19. Med advice to be a phone call away. Facing acute shortage of doctors on the state, the health ministry has given its nod to launching of telemedicine services in all government hospitals in the state. we are planning to launch telemedicine system in UP and working out modalities before its launch in about six months. 20. ‘World moving towards Golden Half Hour’. Doctors specialising in the treatment of heart and brain stroke are saying all efforts should be made to start treating patients within the first half an hour to reduce mortality and morbidity, said interventional cardiologist and Managing Director of the Ramesh Group of Hospitals, P. Ramesh Babu. 21. Before Centre cancelled health NGO Licence, their partnership. In the events leading to the cancellation of its FCRA Licence, the think tank public health foundation of india (PHFI) had been sying essentially the same thing to MPs that a government ministry has done during successive dispensations, and futhering discouragement of tobacca use- often in partnership with the government a cause that the government itself is committed to by an international treaty. 22. ISRO TO PLAY BIGGER ROLE IN COUNTRY’S DEVELOPMENT. 23. AMBULANCES TO BE EQUIPPED WITH TELEMEDICINE, GPS FACILITIES. 24. 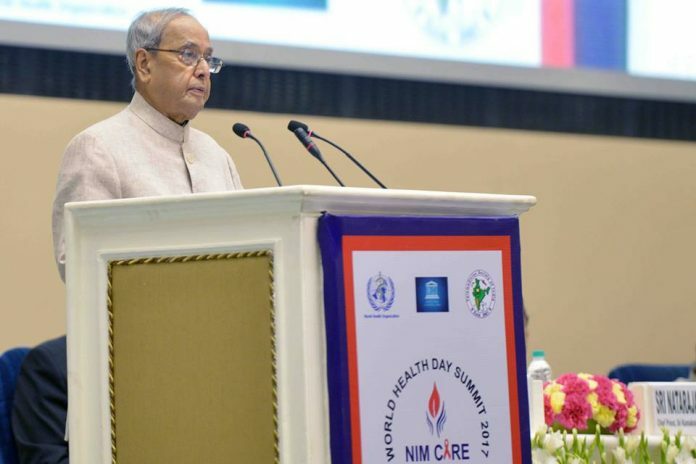 President of India inaugurates first NIMCARE World Health Day Summit 2017. 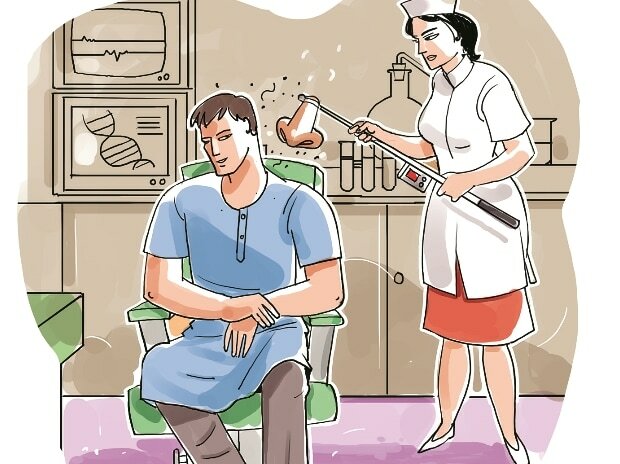 The President said that there is a severe shortage of mental health professionals in India and this service gap can be bridged effectively by telemedicine. The World Health Day Summit has begun in the right direction by launching the eCAP & SOL’s Telepsychiatry application for the rural and urban population in need of mental health consultation. 25. YERWADA INMATES FIRST IN COUNTRY TO GET TELEMEDICINE. Doctor-prisoner communication through video conferencing in order to curb escapes from hospital. 26. Telemedicine centres launched in State. Chief Minister N. Chandrababu Naidu on Friday launched the ‘Mukhyamantri Arogya Kendras’ (MAK), e-urban primary health centres, for providing telemedicine. The government plans to run the MAKs in the private-public partnership mode. 27. Telemedicine can fill in for mental health professionals’ shortage: Mukherjee. President Pranab Mukhrjee on Friday said telemedicine can effectively bridge the gap caused due to severe shortage of mental health professionals in India. 28. Telemedicine facility at Nalgonda hospital on the cards. Stating that District government hospital had well-equipped labs and expert doctors, Collector Gaurav Uppal stated that plans were afoot to arrange telemedicine facility to provide the best medical treatment to the patients in the district. 29. 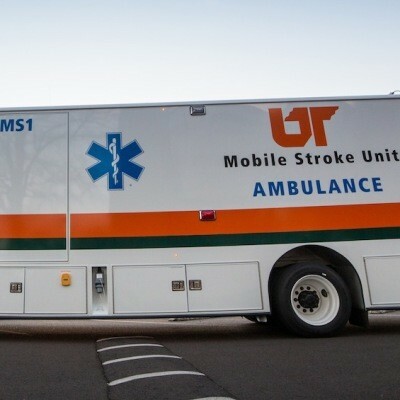 KMCH launches first mobile stroke unit with advanced CT imaging. Kovai Medical Center and Hospital (KMCH) launched the Asia’s First innovative new Mobile Stroke Unit (MSU) designed to bring time-critical stroke care to patients on the way to the hospital. 30. Narayana Health launches cloud enabled e-health centre. Narayana Health Group that runs RN Tagore Institute of Cardiac Sciences in Mukundapur, Kolkata and Narayana Superspeciality & Multispeciality hospitals in Howrah announced the launch of its fourth e- Health Centre in West Bengal at Tikiapara in Howrah district. 31. Lack of awareness about new medical products: Patel. There is lack of awareness about new medical products and diagnostic tools and technology are being used under the National Health Mission to overcome this, Minister of State for Health Anupriya Patel. 32. This doctor dumped US job to build integrated medicine platform Syncremedies. The startup melds practices from various disciplines to provide holistic medical intervention to patients. 33. MoH&FW launches National Dental and Oral Health Information IVR Portal, toll free number. On the occasion of ‘World Oral Health Day’ Faggan Singh Kulaste, Minister of State for Health and Family Welfare along with CK Mishra, Secretary, Ministry of Health and Family Welfare and Dr Jagdish Prasad, Director General of Health Services, launched the Information, Education and Communication (IEC) material. 34. 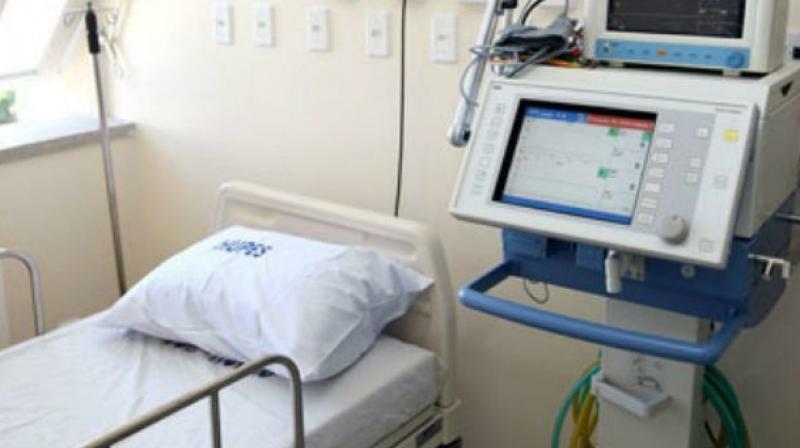 Remote on line bedside monitoring system soon in all hospitals. JIPMER has been adopting the system in the tertiary burns unit of the Department of Plastic Surgery. 35. KMCH launches India's first Mobile Stroke Unit. Kovai Medical Center and Hospital today launched Asia’s First innovative new Mobile Stroke Unit (MSU) designed to bring time-critical stroke care to patients on the way to the hospital. 36. 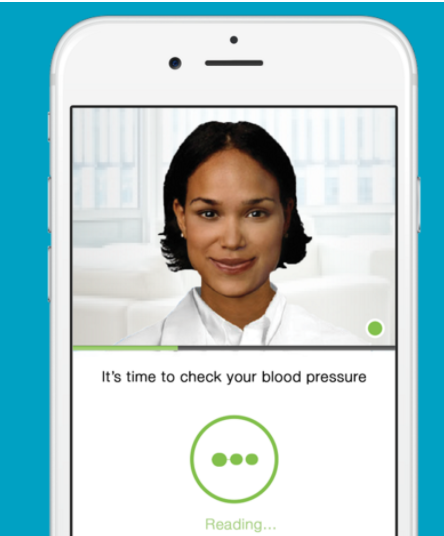 Telemedicine takes advancements in healthcare to distant corners. Gaurav is among the many beneficiaries of telemedicine, which has helped many citizens in remote areas of the country seek medical opinion from some of the leading doctors. 37. How telemedicine network is spreading to far-flung areas. The primary focus of such initiatives is to provide healthcare accessability in distant areas, rural communities and piligrimage centers.